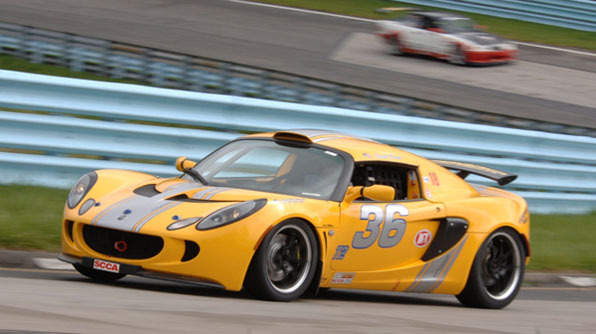 David Brand has been racing for over 25 years, and campaigning his lotus in SCCA T2 Class since 2007. 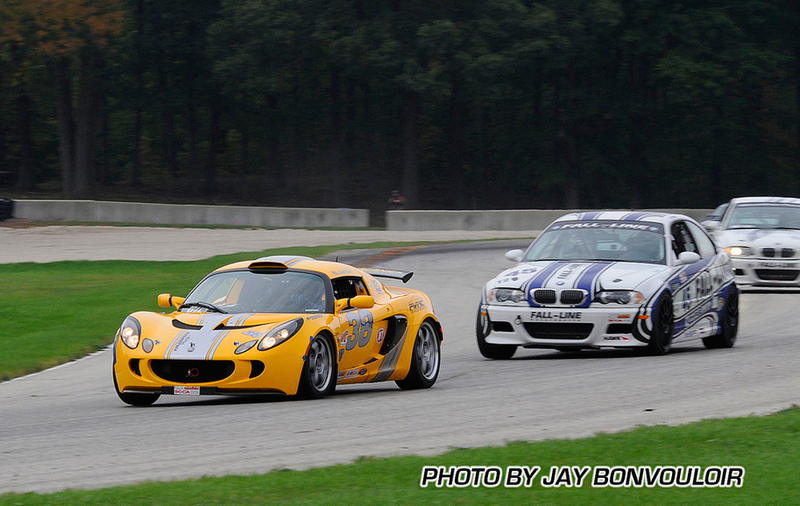 Click here to See David’s latest progress and his results from the 2010 Runoffs at Road America! 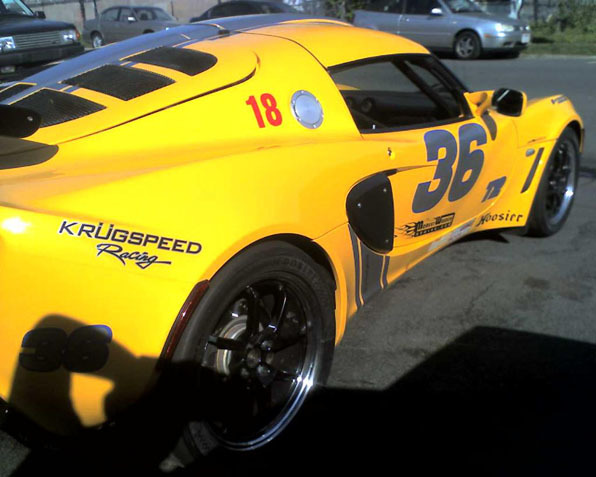 His Crew Chief, Alex Krugman of Krugspeed Racing, is a seasoned veteran of race suspension tuning, but when it came to pulling more power from the Lotus Elise, he turned to Monkeywrench Racing, as the leader in 2ZZ performance, to provide support for drivetrain issues. Davids 2005 Elise was handling well, but it just seemed like it could do more. 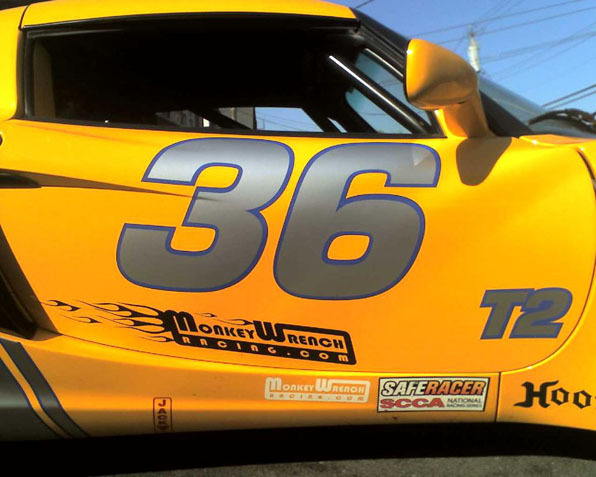 One day a big truck rolls up in front of MWR and inside was David’s Elise. They had it delivered straight from the track in Topeka, Kansas. We removed the drivetrain completely and renewed all the engine components, in fact, this was our first use of the stock OEM shortblock in a racing application. The SCCA T2 class is very restrictive in the limitaions on modifications, so it was just a stock engine, but we made sure it was a meticulously prepared Stock engine. 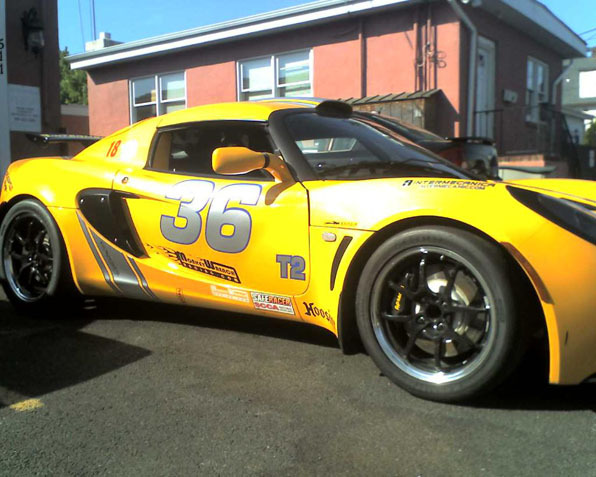 When it was finished the big truck returned and David’s Elise was shipped directly back to the race track in Topeka. 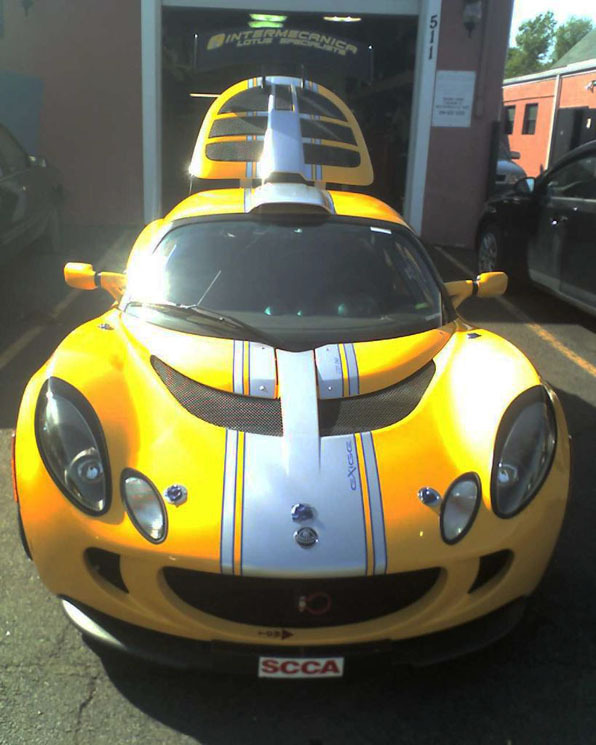 David noticed a big improvement in performance, in fact he had the best time of any Naturally aspirated car. it was his best finish to date. David worked his way up the ranks, breaking track records at Road Atlanta and Watkins glen, and was a leader in the series when, there was a rotating assembly failure in the engine right before the race. We brainstormed with Alex for a while and put together a care package including a shortblock, all gaskets, Oil Pump, etc… and rushed it to UPS. 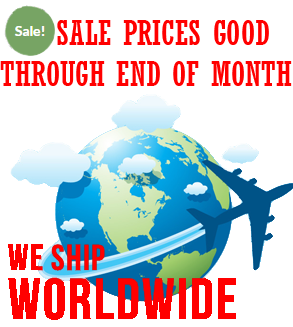 We got it there just in time to ship next day to Alex. Alex and his associates Waldir and Nick at Intermechanica (Also a MWR Reseller) got it all back on the road in time for the race. Unfortunately, on the August 1st 2009 race at Limerock, CT, he spun on a right hand turn and took a Miata hard on the nose. David was medivaced to the local hospital, thankfully he was OK. Not so much for the car though. Unfortunately, the Blue Lotus’ days were done. Now it’s a new race season and a new car to go along with it. 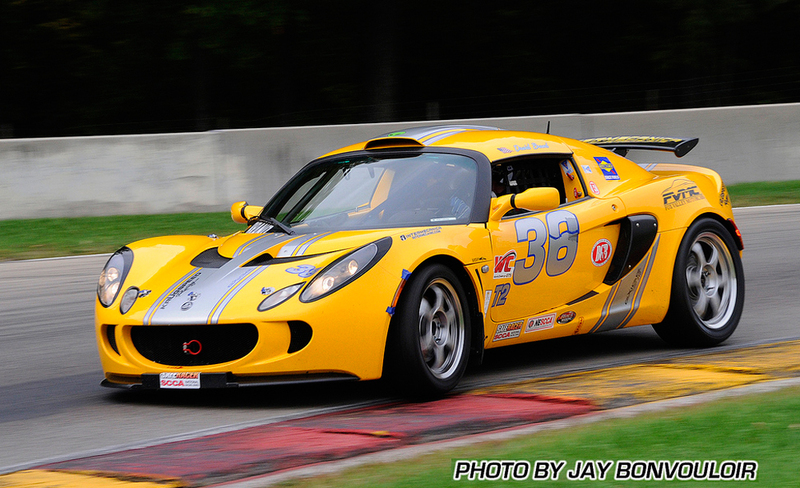 This new yellow car just took third place at Road Atlanta and top 2WD lap time, in wet conditions. 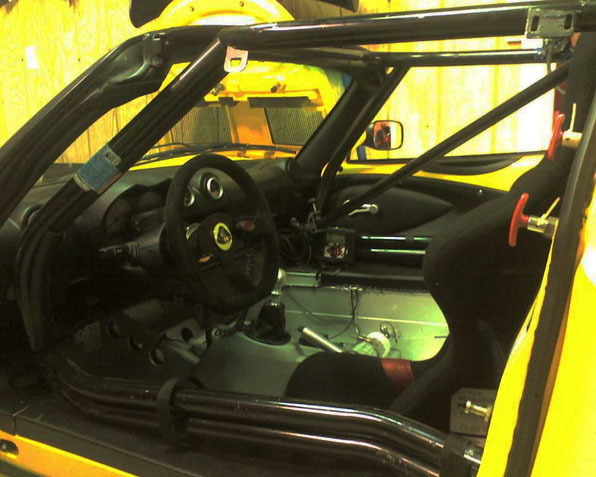 Roll cage was designed by Curt at Hypersport Engineering and installed in house at Intermecanica. All assembly was done at Intermecanica/Krugspeed Racing. Looks like a promising season for David, we’re looking forward to backing up Alex and keeping David in the hunt! 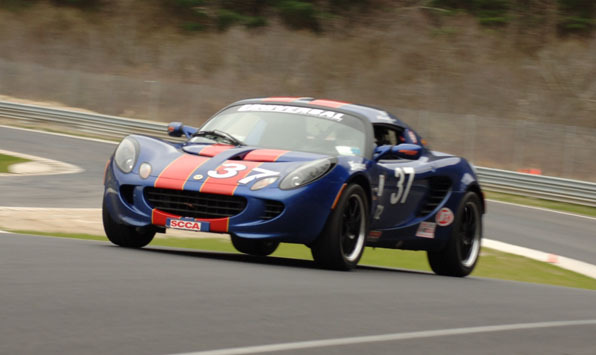 Pole Position in June at Limerock! 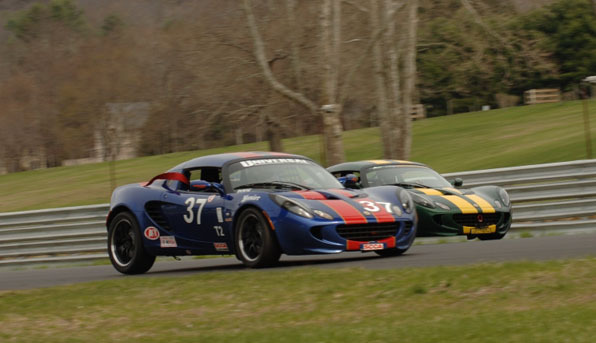 First place in class at Limerock in July! 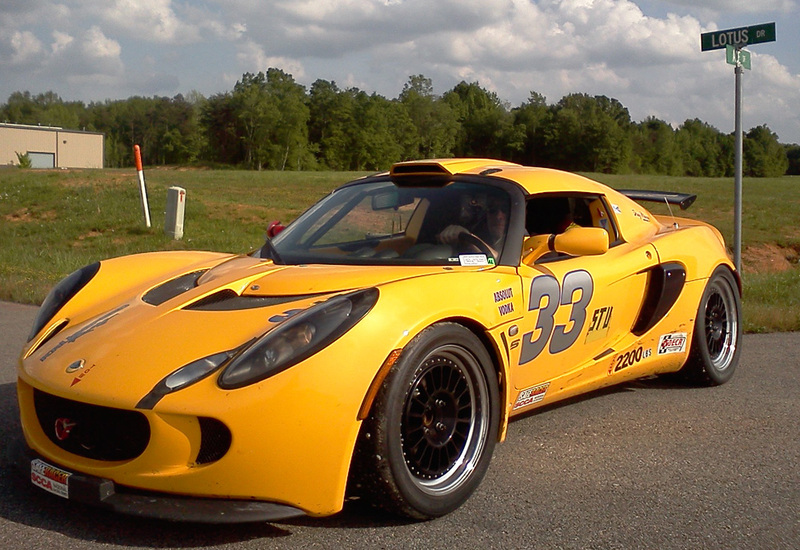 For our December 2010 feature article, we are wrapping up the year with the runoff results of Monkeywrench Racing’s featured SCCA T2 racer, David Brand. 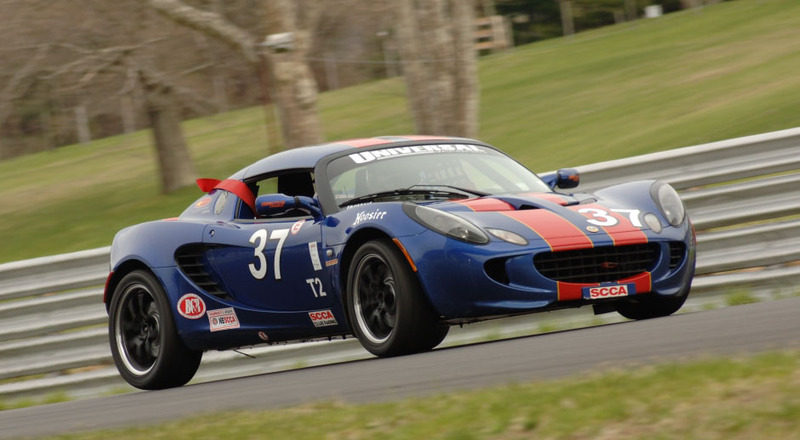 Between The mechanical services of Waldir at Intermechanica, Precision suspension tuning from Alex Krugman of Krugspeed Racing, and of course a little help from Monkeywrench Racing, David entered the 2010 SCCA Runoff at Road America in a fine state of tune. In fact one of his test laps exceded the race’s fastest lap. The day of qualifying had cool air temperatures and David qualified fifth in only three laps. He may have been able to qualify higher, but cool temperatures and air density cause higher sound levels. They were right at the threshold of max sound levels, and if they had gone for a faster qualifying time, they may have been black flagged for sound levels. Race day was even colder, at 41 degrees. Unfortunately a couple of missed shifts mid-race cost david position, which he more than regained by the end of the race. He finished fifth, gaining one position over his starting position of sixth. Too bad about those missed shifts. The second to the last lap was David’s quickest race lap, and the 2nd quickest lap time of the race. 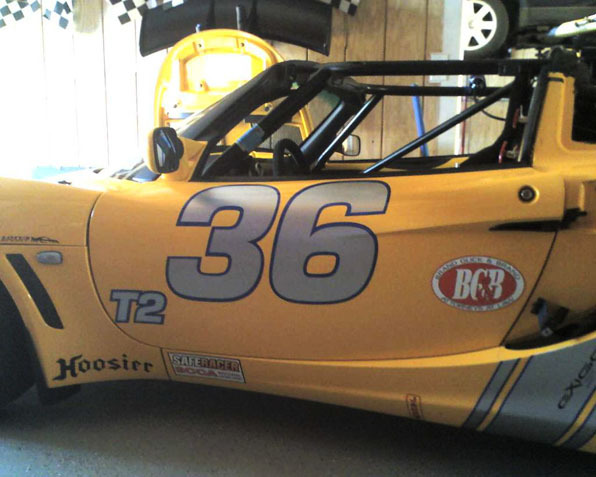 David will start next year’s racing season at the Double Nationals at Road Atlanta in March, only next year, there will be a sister car to David’s driver Ric Bushey out of Virginia Beach. That’s right, you guys in BMW M3’s, Porche 993’s, Evo’s etc, better watch out, you’ll be dealing wtih a team of Lotus cars next year! 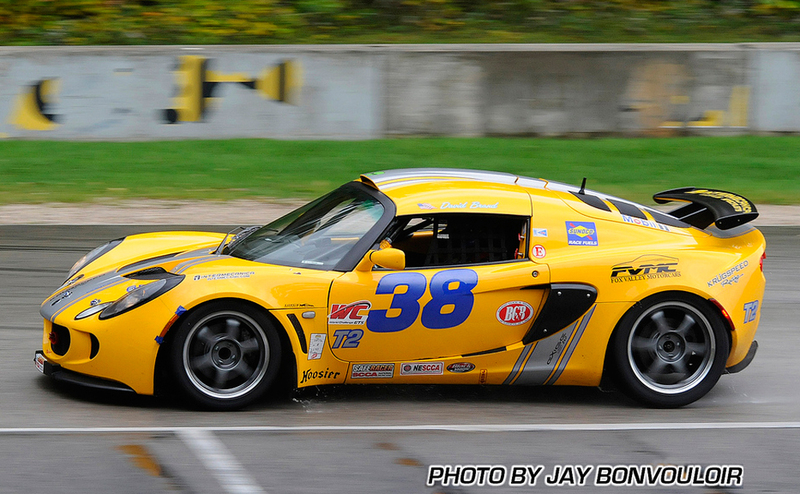 A Special thanks to Motorsports photographer Jay Bonvouloir for providing the great runoff photos! Thanks to Speedcast TV, you can watch the whole race. 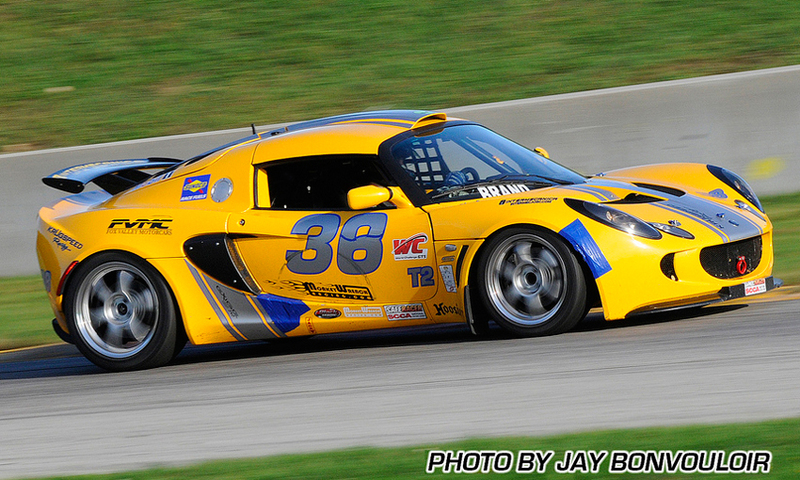 David Brand started from Pole Position and won the SCCA March Nationals on Saturday at Road Atlanta in STU. Jim Taggart won the Sunday National in STU. 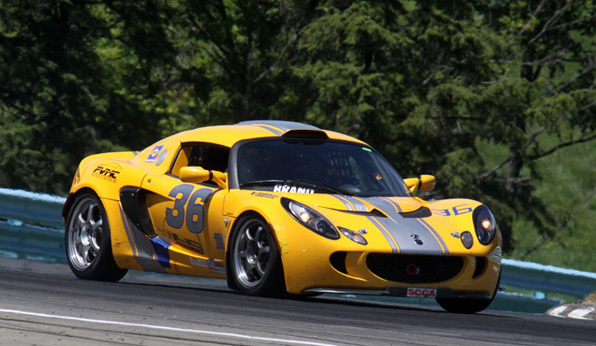 Jim Taggart also took the overall WIN in the KRUGSPEED Lotus at the PRO ENDURO series starting from last! 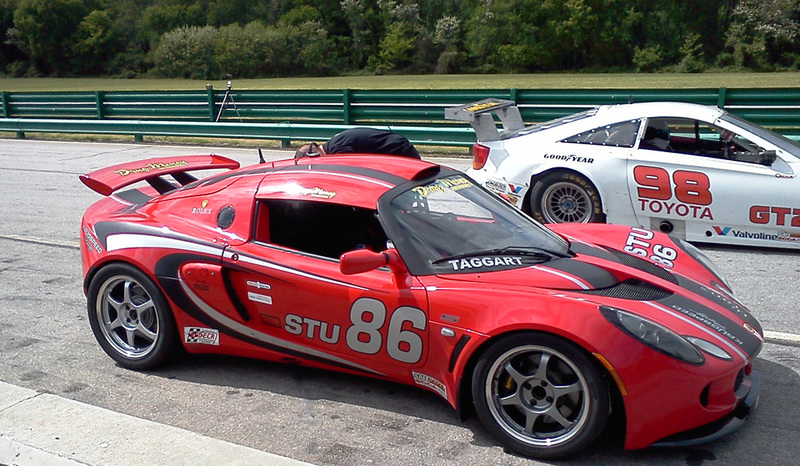 Jim Taggart took the overall win in the KRUGSPEED STU Lotus at the SCCA Oak Tree Nationals at VIR on Sunday in the rain. He lapped the entire field and set fastest race lap.